I would appreciate some feedback and I will post some more Pictures in the upcoming days! 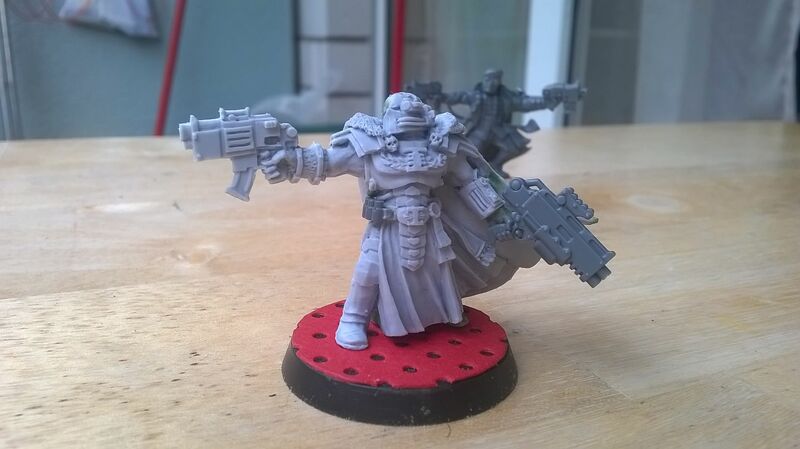 That's some very nice work, and it's good to see Inq28 (the proper 28mm version of Inquisitor IMHO!) shown on these boards. 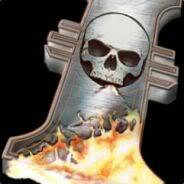 I especially like your twin boltpistol (nasty on the board!) 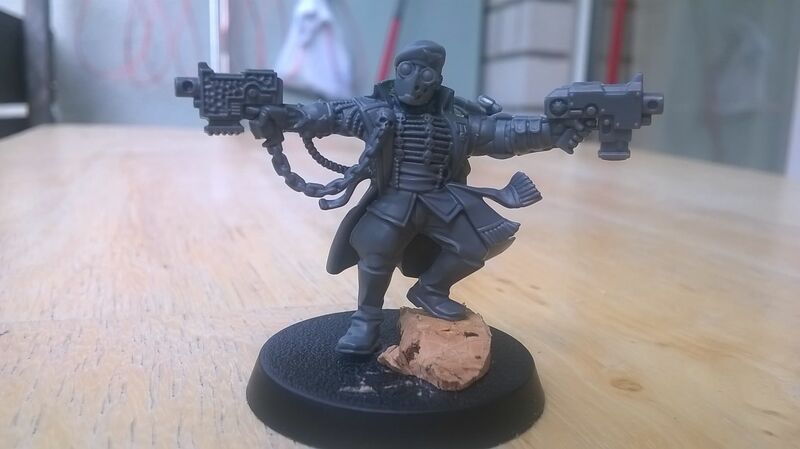 guy - is he a soldier/stormtrooper/commissar, or an Inquisitor of some very violent sort? Thank you very much mcjomar! I designed the 'twin boltpistol guy' (I like this nickname pretty much... ) to be an Ordo Hereticus Inquisitor who hunts down radical Inquisitors. He is a real beast on the board but he lacks armour and proper Melee-Skills. He's fun to play! I think I will post some Character-Sheets soon. I had some issues with the molding, but it turned out nicely. I like the mirrored pose the two gunslingers have - simple but dynamic. 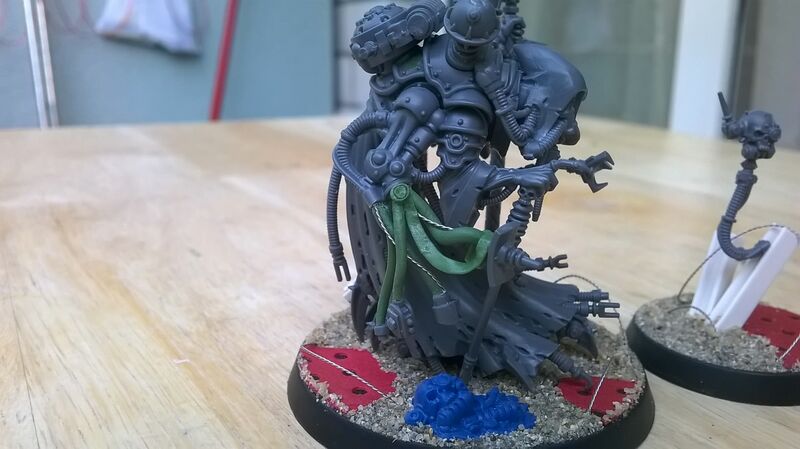 Do they work alongside Magos Ward? Van Drake must have forearms of steel to be swinging those bolters around. They are going to be priority targets on the table though, carrying around that much murder. The Inquisitor is an Ordo Hereticus Inquisitor and he works with his Interrogator and a female Hive Ganger (the model is an simple necromunda mini with forgeworld conversion - Still waiting for the mail call). 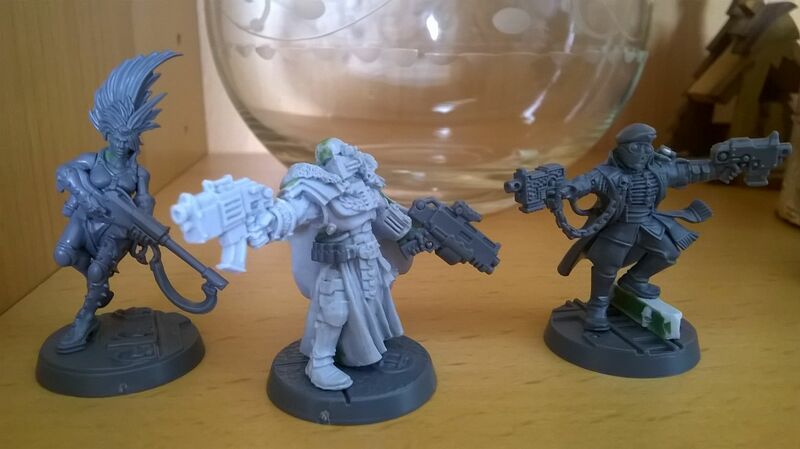 Inquisitor van Drake is armed with an Autopistol and maybe a clumsy stubber / navy pistol. 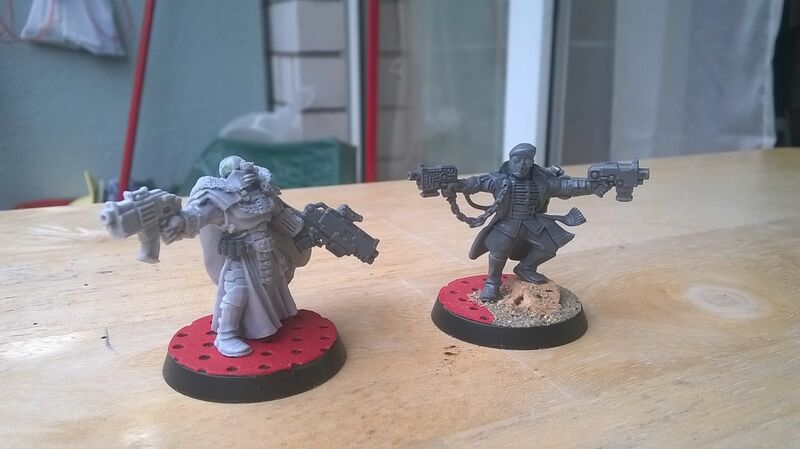 I thought, that two bolter-guys would be to much. 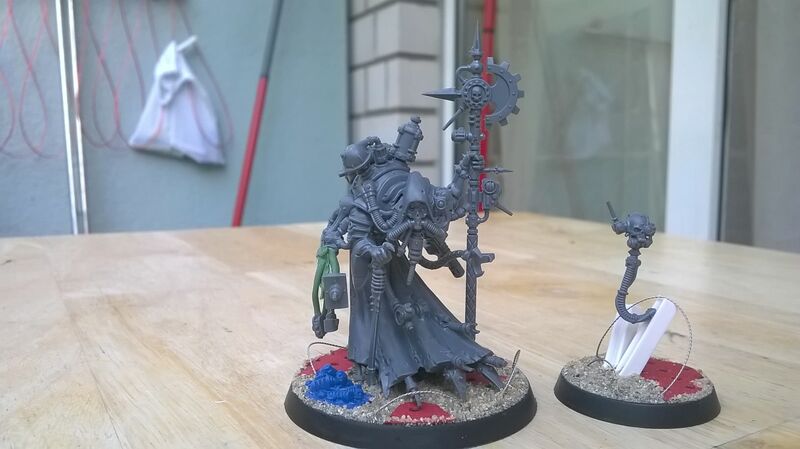 Those are some nice conversions there - I'm looking forward to seeing them painted. 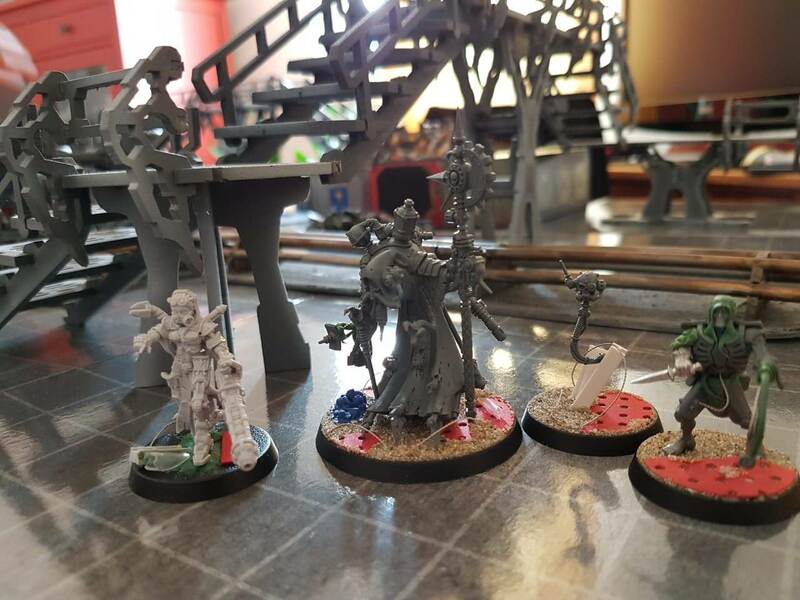 Here's an image of Inquisitor van Drake and his Retinue. I slightly changed Slydos pose and used to the pre-made 25mm bases from GW. 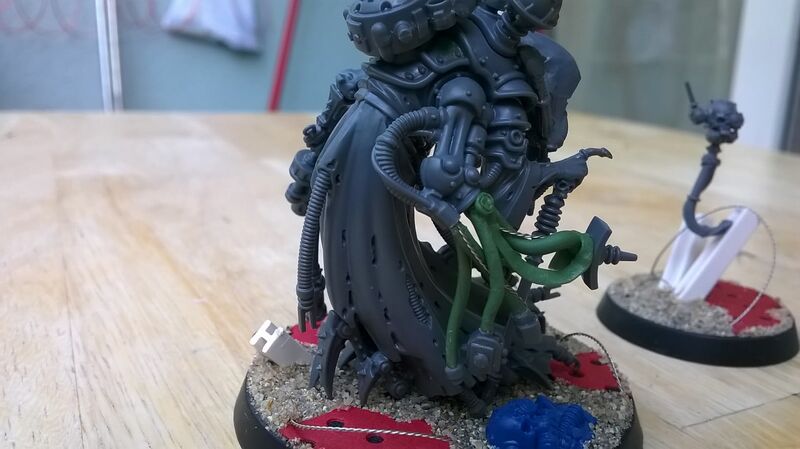 The female Hive-Ganger is not much of a conversion. I exchanged the head and had to do some Green stuff on her neck. I think all three Models seem pretty dynamic. Some nice work there. Very characterful minis, excited to see them painted . Also, don't worry about your English, it's pretty much perfect ^^.